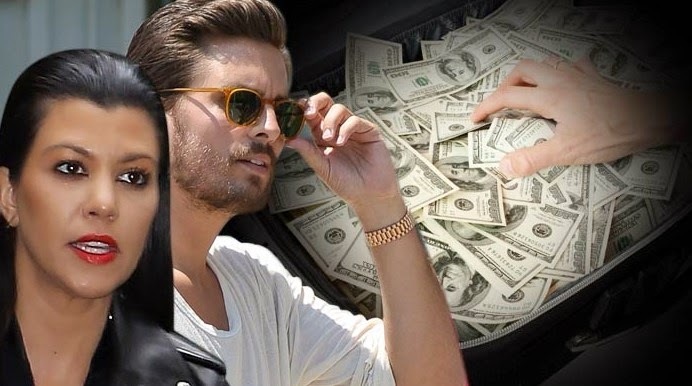 A thief broke into Kourtney Kardashian and Scott Disick's rented home in the Hamptons -- stealing a briefcase stuffed with CASH and sources close to the family tell TMZ they think it's an inside job because this is the third time the family has been hit. Southampton Town Police say Scott reported a briefcase filled with $4,000 was pilfered from their bedroom ... sometime between July 1st and 4th. According to cops, nothing else was reported stolen and there was no indication of forced entry. Kardashian sources says, Kourtney suspects the culprit is someone close to them. The reason for her suspicion, Kourtney reported a similar theft in February at her home in Calabasas after someone snatched $50K in cash. And that theft came shortly after a $250K jewelry heist at Khloe's home. Law enforcement sources says, at the time they suspected those crimes were committed by someone on the crew of "Keeping Up with the Kardashians" because they have access to the homes.